There’s been a big shift in the screen printing industry towards eco- friendly products that yield great results, while being healthy for you and the planet. We’ve also seen vinyl take off, with car wraps and the majority of those jobs being either for advertisements, or just strait up color changes. Franmar Color Change: an eco-friendly way to unclog and clean screen printing mesh. Eco Click Frames: environmentally safe product where you buy 1 screen and then can switch out and change mesh counts as needed. No glues or chemicals needed! Thermotron Heat Press: affordable heat press with the 3 in 1 LCD screen to help manage the tempature, time, and quantity. Livingston Tag Pallet Board: allows for printing of a t-shirt neck label and the front of the t-shirt in one step. Mclogan Emulsion Remover Concentrate: most affordable emulsion remover on the market. Magnetic Vinyl Applicator: the magnetic squeegee will hold your knife, while the squeegee will hold your vinyl in place. You don’t even need to use tape! Knifeless Tech Design Line: Tape that cuts through vinyl just like a plotter…genius! Avery Supreme Vinyl Wrap: This dual layer vinyl combines both color and clear protective layers providing a paint-like finish that is both durable and dazzling. 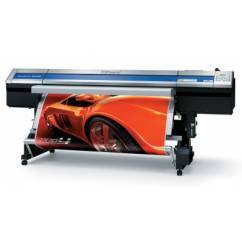 Roland SOLJET Pro 4 XR-640: Roland’s fastest, most powerful wide – format color printer/cutter ever, the 64-inch Pro 4 ushers in a new era of quality, precision and performance. Nikkalite Reflective Vinyl: Highly reflective vinyl with a 7 year warranty. It’s been a great year and we thank you for your business. Now that 2015 is officially off and running we hope that your year is filled with love, wealth, happiness and health!